Following a banner year in which Martha Davis and The Motels have played their most shows since 1985, Vesuvio Entertainment is releasing THE MOTELS LIVE AT THE WHISKY A GO-GO-50TH ANNIVERSARY SPECIAL, a lush and tuneful concert film of this iconic artist's landmark performance at the historic Whisky A Go-Go's 50th Anniversary Celebration. 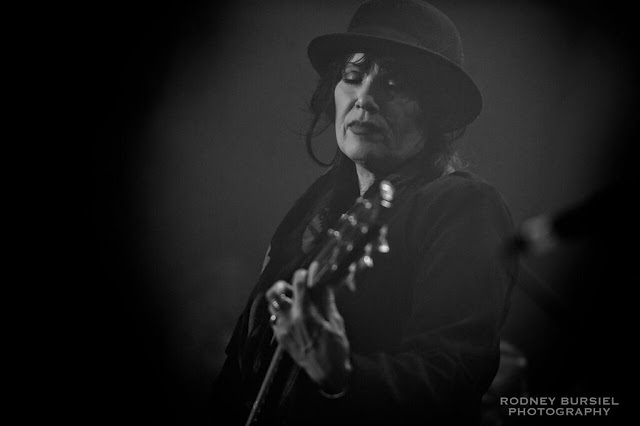 While The Bangles, Robbie Krieger and many others had shows marking this Sunset Strip institution’s 50th birthday, only Martha Davis and the Motels captured their show for posterity, marking their first ever hi def, 5.1 audio state of the art concert film. 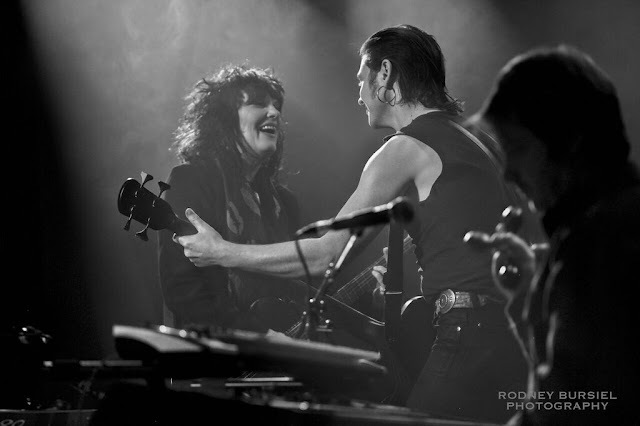 Double Emmy® winning cinematographer Roy H. Wagner (NBC's Elementary; Wes Craven's NIGHTMARE ON ELM STREET 3) photographed the concert film, with choreographer/director Denise Faye (BURLESQUE) in her directorial debut. Ms. Faye is currently directing Cher's global "Dressed to Kill" Tour. 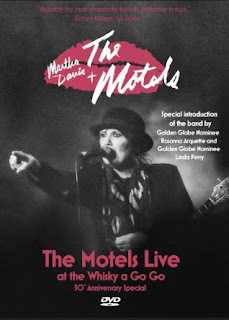 Golden Globe® nominee Rosanna Arquette and Grammy® nominee Linda Perry both appear in the film introducing Martha and the band. This is a great addition to your Disc library. It is filmed at the Whiskey and as soon as Linda Perry comes out to introduce The Motels I am excited. I felt like I was there. Martha Davis in her sultry beauty and mesmerizing voice transported me back to a time when I went out to watch bands live. It is beautifully filmed in the blue light of a live show. You can feel the excitement of the crowd especially when Martha steps off the stage and walks through the crowd with her beefy body guards in tow. These are songs that the crowd knows and feels. It is a music of a different time when you felt the songs and didn't need a visual to enjoy it; a time when we listened to the lyrics, the beat and auto-tune didn't make a singer. Only The Lonely and Suddenly Last Summer are two of my favorite songs of the times and two I would sing at the karaoke bars of the 80s. Man, I miss those times. Disclaimer: I received a complimentary copy for my honest opinion.